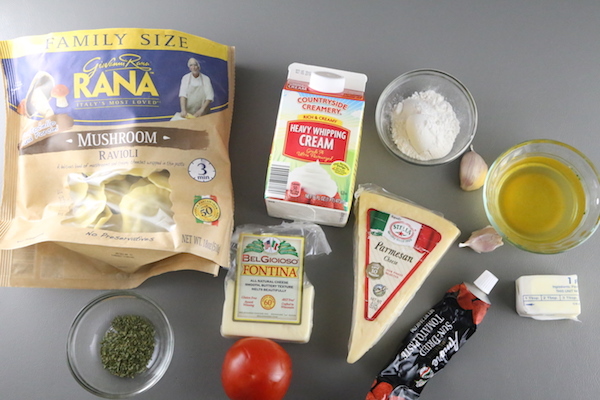 Olive Garden Ravioli di Portobello Copycat Recipe is fairly easy to make. Plump mushroom filled ravioli are smothered in a creamy sun-dried tomato sauce and garnished with tomatoes and parsley. This quick and tasty dinner can be done right from home and doesn’t require any chef skills. If you like Olive Garden’s Ravioli di Portobello dish then you should certainly try this copycat version. I will let you decide if this tastes close enough to theirs. You can find pre-made mushroom ravioli in the fridge section of most grocery stores and of course feel free to comment and rate this recipe. 1. Cook ravioli to package instructions; then set aside. 3. Stir in flour and cook until light brown. Add in the tomato paste and mix thoroughly. Slowly add in the broth and cream. 4. Add in the cheeses and mix until melted. 5. Serve over cooked ravioli and top with dried parsley and diced tomato before serving. Olive Garden Ravioli di Portobello Copycat Recipe is fairly easy to make. Plump mushroom filled ravioli are smothered in a creamy sun-dried tomato sauce and garnished with tomatoes and parsley. This quick and tasty dinner can be done right from home and doesn't require any chef skills. Cook ravioli to package instructions. Set aside. Stir in flour and cook until light brown. Add in the tomato paste and mix <g class="gr_ gr_358 gr-alert gr_spell gr_inline_cards gr_disable_anim_appear ContextualSpelling ins-del multiReplace" id="358" data-gr-id="358"><g class="gr_ gr_358 gr-alert gr_spell gr_inline_cards gr_disable_anim_appear ContextualSpelling ins-del multiReplace" id="358" data-gr-id="358">throughly</g></g>. Slowly add in the broth and cream. 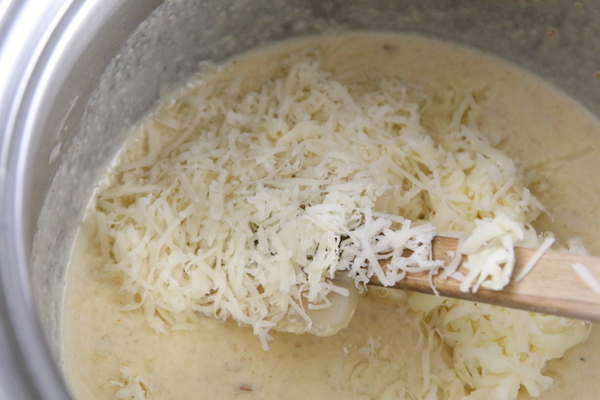 Add in the cheeses and mix until melted. Serve over cooked ravioli and top with dried parsley and diced tomato before serving. This is a great recipe!!! We loved it, Thank you for sharing it. I had a hard time finding the sun dried tomato paste, so I made my own!!! All in all it’s a great recipe!!! Very easy to make and not very time consuming!!! I tried it out, it came out great!! Thank you for the recipe. Since Olive Garden no longer makes it, it was very delicious. Thanks again ? Really, Olive Garden stopped serving it? That was a good dish! Thanks for the feedback, Val. I am dining at olive garden even as I text and am sooooo disappointed to find that this dish is no longer served. I will try you recipe when I get home. 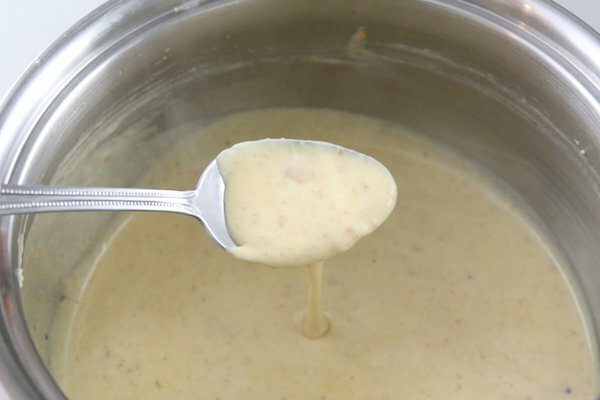 I am excited to try this recipe at home… I went to Olive Garden with my son last night, and they took it off the menu replacing the Mushroom Ravioli with a Mushroom Cream sauce. I asked if they could replicate the recipe, and the cooks did a great job. Basically just using a basic alfredo sauce and added tomatoes to it. Hi Jessica, thanks for dropping by, I would love to hear your feedback on the ravioli! The sun-dried tomato paste definitely adds some acidity to the creamy alfredo sauce so try that out. Thank you for following! Could you used the diced sundered tomatoes in a jar just a little more than the paste? Hi Kayla, tomato paste, in general, is reduced in size much, therefore, it will be much more intense in flavor rather than just using sundried dried tomatoes. 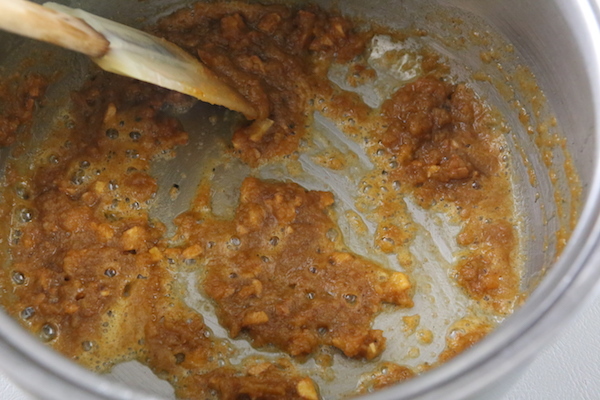 If you simply can’t find any try making a paste from it by pureeing it and adding vinegar for intense flavor. I made this and found it to be a DELICIOUS, easy recipe! The only change I made was I swear the Olive Garden recipe had a smoky flavor, so to achieve this I added some liquid smoke! I don’t recall a distinctive smokey flavor in the Ravioli de Portobello version from Olive Garden, but if there is some smokiness that you’ve encountered you could always add a smokey cheese blend into the sauce as well. Thank you for taking the time to leave a feedback. This looks really good! But the Olive Garden uses a smoked cheese in the sauce, soo good! You are very welcome! Sundried tomato paste should be in a tube so definitely look for a boxed product. I’m assuming the sundried tomatoes is more acidic tasting as the tubed version has vinegar in it… I certainly think a mild cheese can work for a substitute for the fontina cheese (like white Monterey Jack cheese) but thank you for sharing your feedback and substitutes.